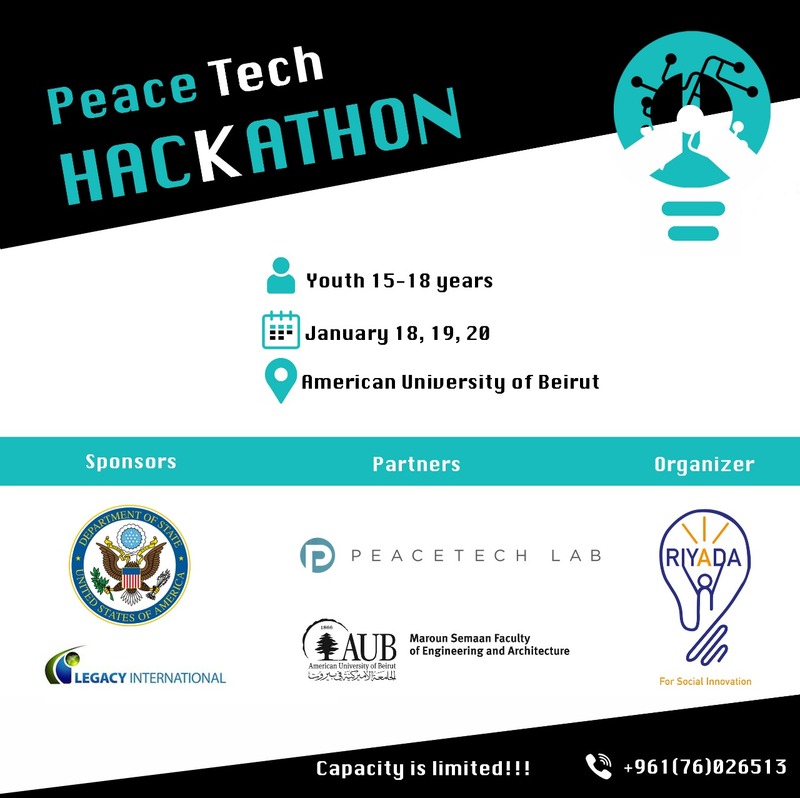 As part of the Professional Fellows Program, sponsored by U.S. Department of State and executed by Legacy International and in partnership with PeaceTech Lab in Washington DC, Riyada for Social Innovation SAL has organized the first PeaceTech Youth Hackathon in Lebanon. 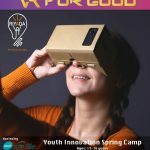 The Hackathon took place on January 11, 12, and 13, 2019 at the Maroun Semaan Faculty of Engineering and Architecture at the American University of Beirut. Participants worked for two and a half days to come up with technology solutions to problems related to peace and consequences of conflict and earned participation certificates and awards at the end of the hackathon. TranquilAsta: a peaceful video game where in order to win, you solve problems peacefully through negotiation and abiding by the rule, instead of killing to win like in ordinary games that promote to violence especially among children, and you have the same amount of fun and adrenaline. Drive: a mobile application that tracks your speed and disconnects your cellular data once you start driving. It warns you every time you’re about to cross your speed limit (you get free MGBs if you decrease your speed and vice-versa). Friend in Me: A website that connects people suffering from mental illnesses and psychological troubles with licensed professionals in the Middle East while offering them the option to stay anonymous. The Coach: A website that directs students to their future careers in Lebanon, providing workshops, counseling, and nurturing for soft skills. VolunteerHere: A website for connecting the NGOs to volunteers, easing their process of searching and saving them money. The Life Program: educating refugees through technology at no cost. Simulation Society: A game that simulates the Lebanese society. It has real corporations integrated in it. Drive won the first place, and The Coach won the second one.